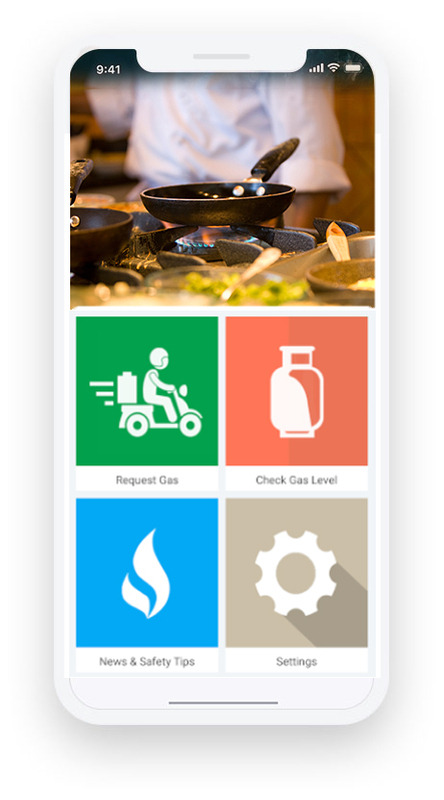 A mobile app with a smart device that provides LPG users with a cheaper, safer and convenient way to order gas, monitor the level of gas in their cylinders and detect leakages. Our app and devices is suitable for your Gas distribution business. Just install the Gas App and Smart devices to enjoy these amazing features. Our smart gas monitor which synchronizes remotely to the Gas App ensures that you are constantly aware of the level of gas in your cylinder. 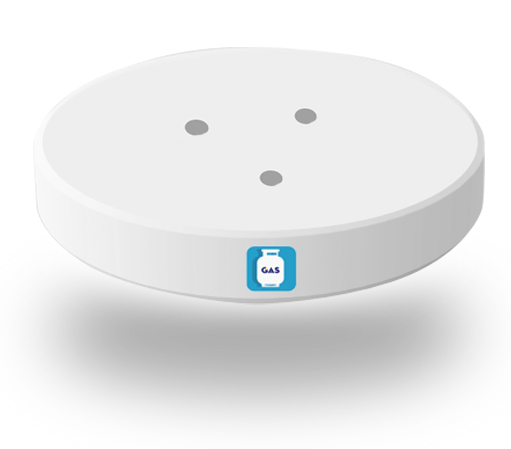 Our smart gas leakage detector ensures the safety of your home. 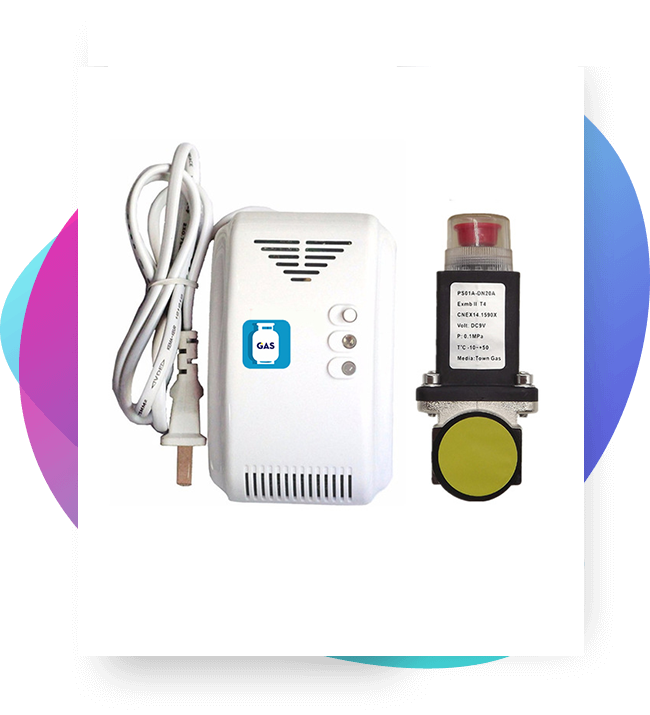 This device cuts off gas supply when leakage is detected and sends notification to the user. 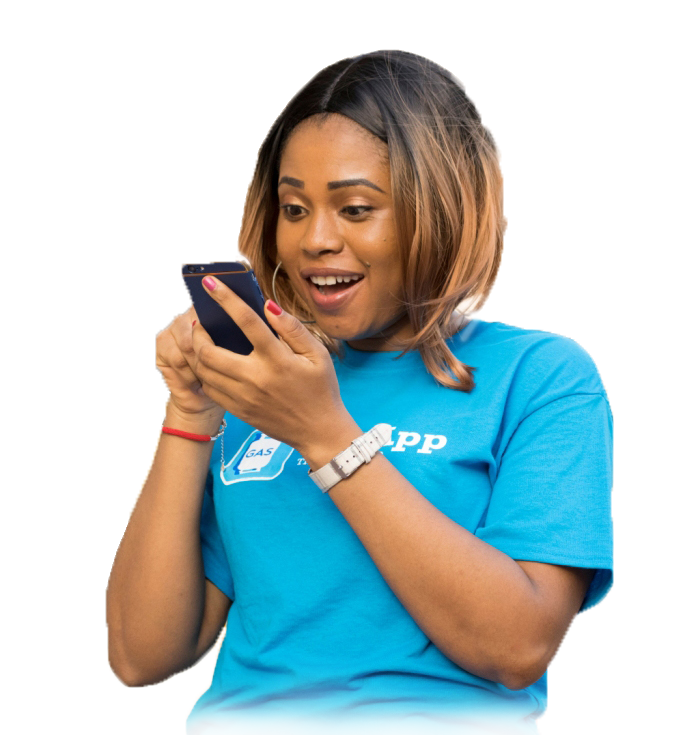 With Gas App, users can now have access to daily, monthly and yearly gas consumption data. 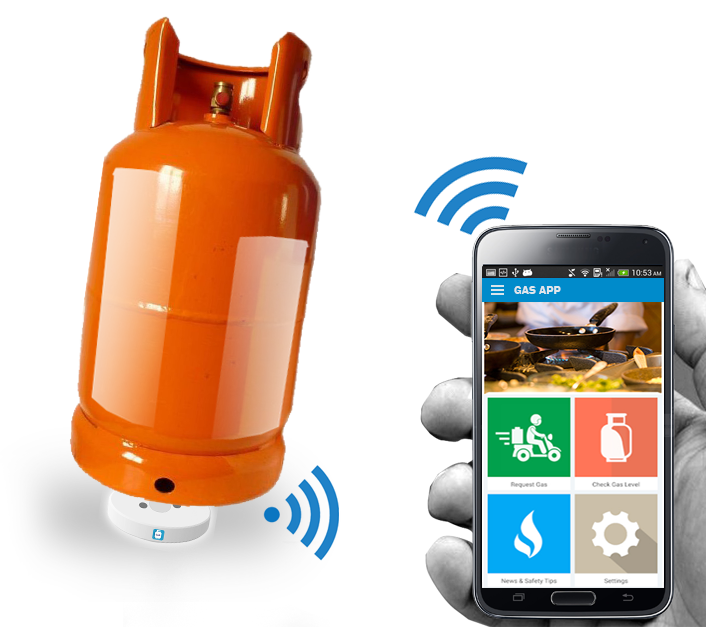 Our smart gas monitor which is attached to the bottom of the cylinder, constantly measures the level of LPG in all cylinder types. ARE YOU A LPG DISTRIBUTOR? Our App and smart devices ensures you provide the best tailored services to your customers. Request for LPG and get it instantly delivered at your doorstep.